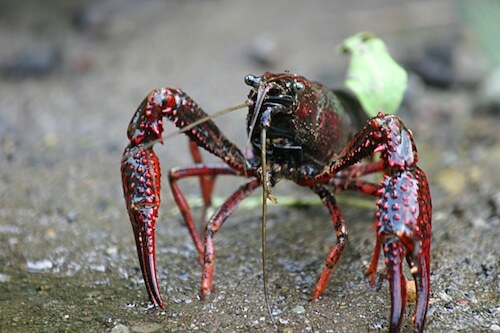 Red Swamp Crayfish are the most commonly farm-raised species of Crayfish raised in the U.S.
You can keep it simple with a crayfish boil, or incorporate these tasty crustaceans into soups, bisques, gumbo, étouffée, crayfish pie and pasta dishes. The meat has a sweet flavor and cooks up firm. Of course Crayfish are popular around Mardi Gras, but they can add a southern touch to your menu any time of year. 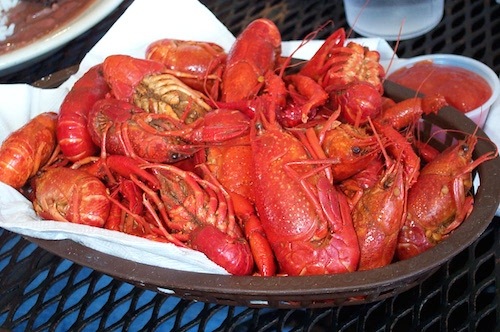 A first-time crayfish eater may find they taste like shrimp – sweet and delicious! Don’t forget an icy cold beer (maybe even one from Louisiana)! Stick a bottle of Tabasco sauce into your Crayfish display – these two iconic Louisiana flavors go great together!